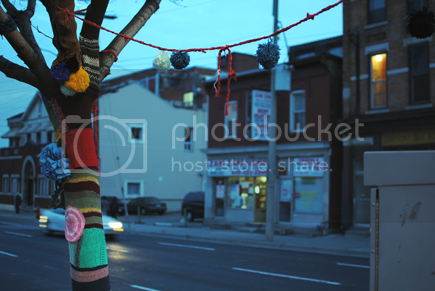 hamilton totally got yarn bombed! we were out for dinner this past Monday night at Mex-i-can (an amazing restaurant on James North in Hamilton) and afterwards i snapped a few shots of some of the yarn bombing. soooo cool! This needs to happen in Edmonton. PRONTO. that is so cool! I totally want to yarn bomb my suburb. It would be so much fun! I LOVE that so much. The town I live in is way to small and uncultured for that quite yet. . . all though I'm trying to talk some of my yarning friends into it! These are so sweet! People have really great ideas! That's awesome, I wish I knew how so I could spread the love in Corpus Christi, Texas! Oh my goodness, I get so excited when I see yarn bombings. 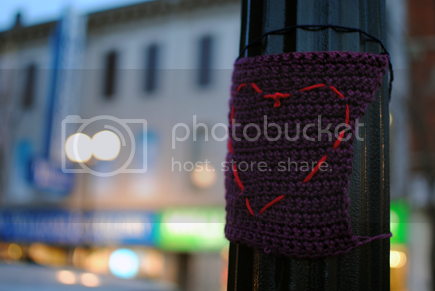 There were some done here in Peterborough as part of a December 6th awareness campaign. That was awesome, but I'd really love to see some happen that are random and nonsensical. Maybe once I learn to knit I'll attack the downtown. that's AWESOME! 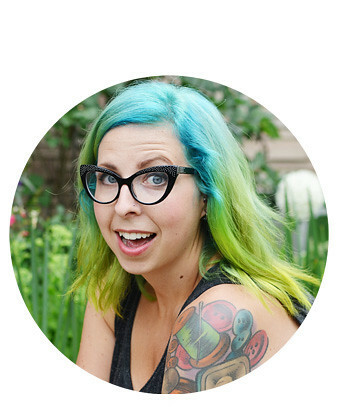 your 365 project photos look great. my sister is doing it this year too. That tree looks amazing...what a great idea! I love to see stuff like this! :) that is so cool! never heard of yarn bombing. too funny! I would do some in Brantford, but it would probably get cut down right away... bummer, ha.